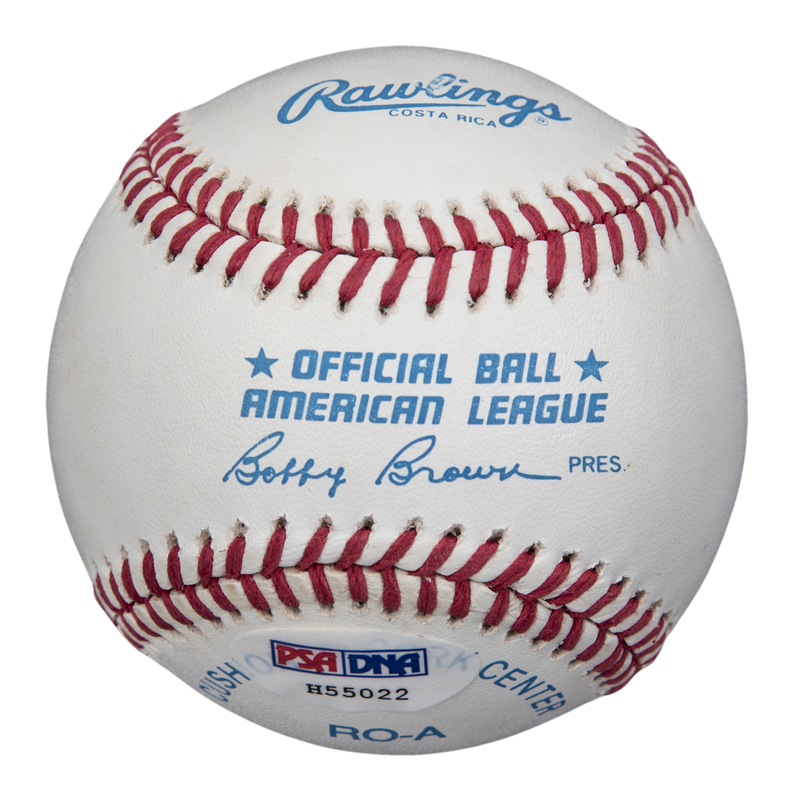 The Hall of Fame centerfielder Joe DiMaggio has signed this Official American League Bobby Brown baseball. 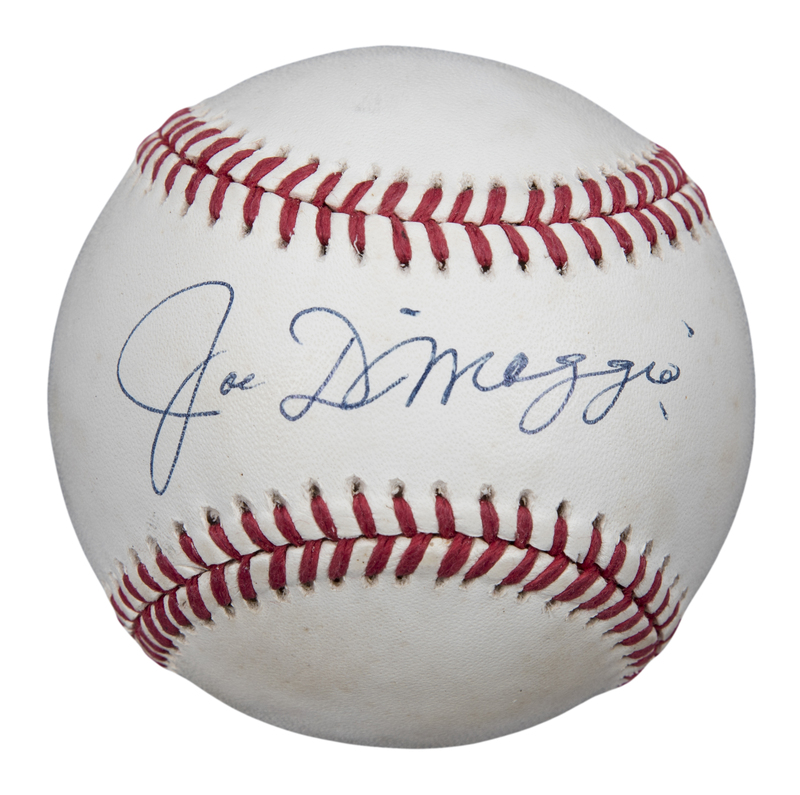 DiMaggio, a 13-year pro, won nine World Series and three American League MVP trophies during his career with the New York Yankees. The San Francisco native hit 361 home runs, against only 369 strikeouts, in his Hall of Fame career. DiMaggio has signed the sweet spot of this baseball in blue pen. This ball comes with a PSA/DNA STICKER ONLY (H55022).